Should you accept all Linkedin invites to connect? You should understand your reasons for using the professional network, who is contacting you and why, and who you want to attract to connect with you. My evolution with Linkedin started while I was still in the corporate world. I saw the value of having an online profile to build my personal brand. At the time, I was working for different start-up companies, and kept getting laid-off. By showing my accomplishments on my Linkedin profile, I was using it to promote myself to the next lucky employer. Now that I’m self-employed, my strategy has shifted. Instead of using it as an online resume, I treat it more like a brochure, so that prospective buyers can see the value I can provide to help them in their business. There are many reasons why someone ends up on Linkedin. Get introductions from my connections to potential clients or referral partners. Essentially, I try to work it just like I do my local face-to-face networking groups. If you are on Linkedin solely to look for jobs with an employer, or you’re an employer looking for candidates, that is a whole different strategy. That approach is outside of my expertise. Whatever the reason, be clear on why you are on there, and why you would have to decide if you want to accept someone’s Linkedin invitation. Who Contacts You on Linkedin? There are millions of people on Linkedin, and why any of them contact you is their unique strategy. So, who contacts you? The usual suspects who want to connect with you are current, or former colleagues, or alumni. Some consider Linkedin just another social network, so want to connect on a more casual basis. Many look at it as a more professional way to stay connected, rather than Facebook. You may want to connect with people in your industry, geographical location, or a market you’d like to get into. If someone invites you to connect, consider how it relates to your business today, or where you might be headed. Many want to just build the number of people in their list. Others are searching for key people that they may target to sell a specific service or product, or often to look for joint ventures, or referral partners. The bonus side is when someone is seeking you out specifically to be a potential client. If your Linkedin Headline, and Profile, are full of the right keywords, they’ll find you. 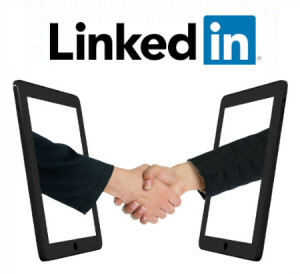 You may not know who they are, and you will not know why they invited you to connect to Linkedin, but wouldn’t it be fabulous if the connection turned into a sale? Don’t over think it. If you accept their invite, and decide later that they’re not a fit, or they are spamming you, then just delete them as a connection. Who Do You Want to Connect With on Linkedin? I get invites from around the globe. Many are obviously not in my scope of business, like a 60-year old male construction manager from Kentucky, or a toner supplier in India, but with others I just use my intuition whether to connect or not. There is no science to it, and there is no right or wrong. Because of who you are connected with, Linkedin will also suggest other people for your network. On the same page of an invitation, it will show if and how they are connected to you. It may not seem logical from your perspective of why they want to connect, but keep in mind who you want in your network. Think of Linkedin as a marketplace. You can pick and choose how you want to use it, or who you want to connect with. If you think of it from a business perspective, instead of just another social network, it might help you decide on who you accept or ignore, the next time someone invites you to connect. Have an optimized, professional Linkedin account, use it wisely, and you’ll build your credibility, and be seen as an expert in your field. Then, even more people will want to connect with you, and potentially do business. 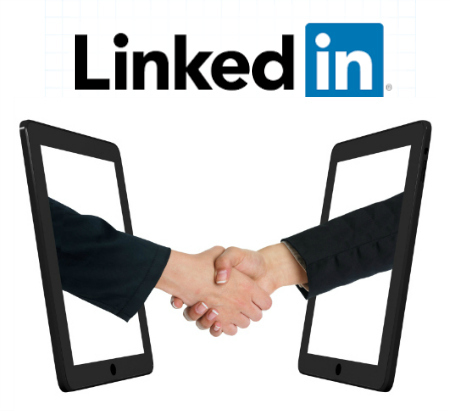 Would you like help to optimize your Linkedin account? Contact me today, and I’ll polish up your profile, and make you shine when someone does look you up.